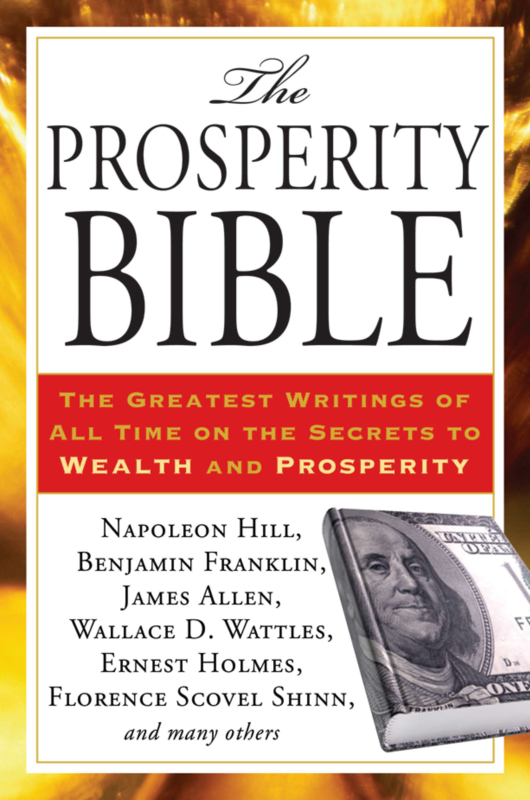 The Prosperity Bible is a one-of-a-kind resource that collects the greatest moneymaking secrets from authors across every field-religion, finance, philosophy, and self-help-and makes them available in a single, handy volume.The Prosperity Bible is a one-of-a-kind resource that collects the greatest moneymaking secrets from authors across every field-religion, finance, philosophy, and self-help-and makes them available in a single, handy volume. For the first time in paperback, here is the all-in-one "bible" on how to fire up the creative powers of your mind to attain a life of prosperity. The Prosperity Bible is a one-of-a-kind resource that collects the greatest moneymaking secrets from authors across every field-religion, finance, philosophy, and self-help-and makes them available in a single, handy volume. Now reprinted with an affordable paperback price, this is the only volume in which you can explore success advice from Napoleon Hill, P. T. Barnum, Benjamin Franklin, Charles Fillmore, Wallace D. Wattles, Florence Scovel Shinn, and Ernest Holmes-along with a bevy of legendary writers and success coaches who have one aim: explaining and promulgating the laws of winning.